For those who frequent the sandbox genre, it can be hard to find a game that lives up to its promises of being an open world and truly endless. 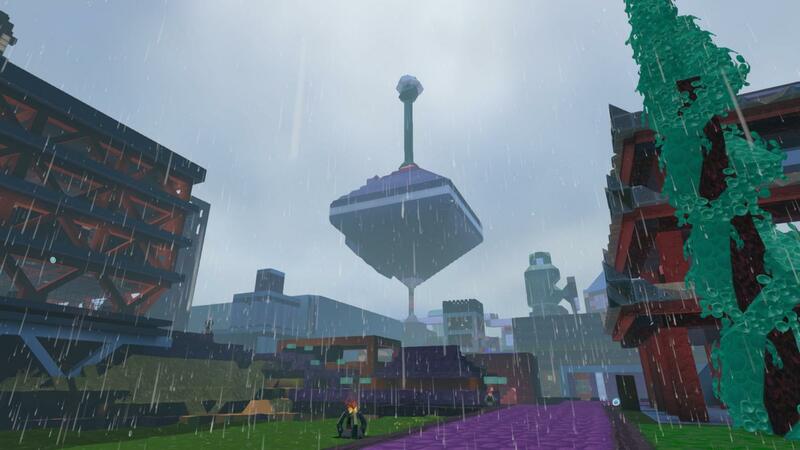 “Boundless” offers massive endless worlds for its players to explore and enjoy. 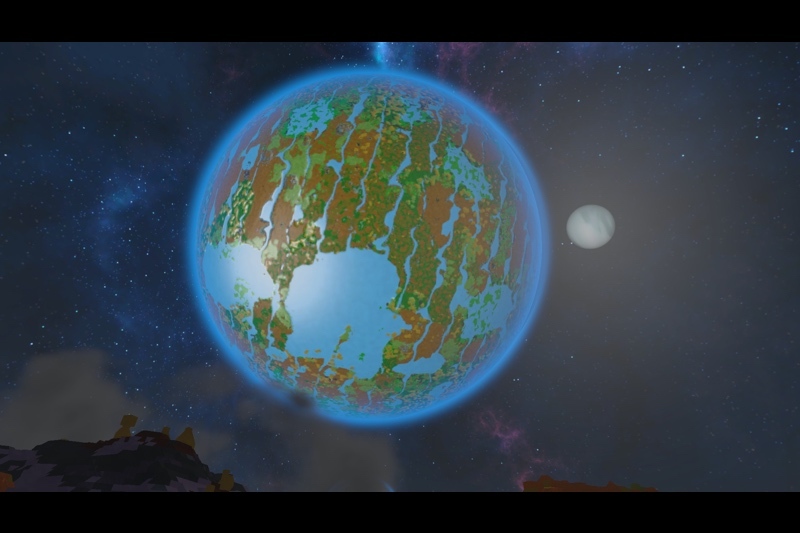 Offering what might be the first Massive Multiplayer Online (MMO) sandbox on the marketplace, players can explore and colonize multiple planets with unique geographies, animals and plants, minerals and dangers. It also offers a leveling system to gain increased performance in everyday tasks, as well as “Epic Skills” that completely alter gameplay. One of the game’s biggest features is exploration. Like many sandbox games, players have the ability to traverse the world to find suitable homes, rare resources to collect, and flora and fauna to engage. The game offers incentives to explore planets in the form of milestones, which offer a plethora of rewards. Should a player grow bored with a certain planet, they can always move to a more challenging planet that offers a different set of features — allowing the player complete control over their exploration. The leveling system is straightforward and easy to understand, yet it provides opportunities for skilled players to maximize their skill points and create an experience that caters to their play style. Whether a player simply wants to boost their stats, achieve combat mastery or become a master craftsman, “Boundless” offers the chance to work and rework your skill tree to get the most out of it’s system. Another great thing about the game is the astounding buildings the players can create. While some may be a simple building big enough to house basic crafting stations and storage, others strive to create monumental structures that serve as planetary capitals and hubs of trade. Whatever your purpose may be, “Boundless” offers a plethora of aesthetics and building materials to aid players in letting their creativity flow into the world. Being an MMO, “Boundless” offers fantastic communal properties. Where some MMOs allow the creation of guilds or clubs, the game provides the chance to create massive communities. Starting out as a small outpost, you and other players can grow a settlement into a hamlet, town or even a planetary capital as the amount of land you capture grows. Players can designate shopping hubs, industrial districts and housing blocks as players form a community of their own. In addition, they can compete for different titles, such as citizen, Warden or even the planetary Viceroy. While this communal property of the game makes it wonderfully unique, it creates a bit of a gap between those who play in massive settlements and those who attempt to settle on their own. While the game is easy to play on the tranquil planets, it seems somewhat empty when playing alone on these massive worlds. This is easy enough to counter, however, if you bring a few friends or join a settlement. Another slight downside to the game is the presence of micro-transactions. While there is no subscription necessary, the game requires you to own the land you build on to prevent the rest of the world from overtaking your structures. This requires a currency called Cubits. While the currency is relatively inexpensive, creating large settlements requires a great deal of land and can become a burden to pay for. This is countered as players receive Cubits upon leveling up, which occurs frequently. Bring enough players into your settlement, and you can receive a steady supply of them. One of the last downsides of the game is that with the vast expanses the game offers, players expect to see every nook and cranny packed full of content. When it’s all said and done, there really isn’t much to do in “Boundless.” Players who enjoy role-playing games where a community has to achieve a goal will thoroughly enjoy it. For those who like a goal directly in front of them, they may be disenchanted by the lack of pre-built content in the game. The developers claim that the game is still in its early stages, which promises that there is still a great deal of room to grow. “Boundless” is far from being whole. For some players, that leaves a great deal of satisfaction because they know that they can come back later to find more opportunities and content to explore. To those who may be looking for a new game, “Boundless” offers a truly unique experience.